Birthday parties, bridal showers, holiday parties and office potlucks are just a few of the types of parties that may feature door prizes. 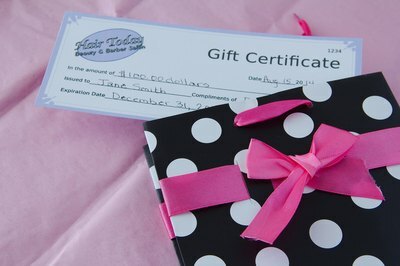 Typically, a door prize is a special gift, such as a gift certificate or gift basket, that is awarded at the end of the party. 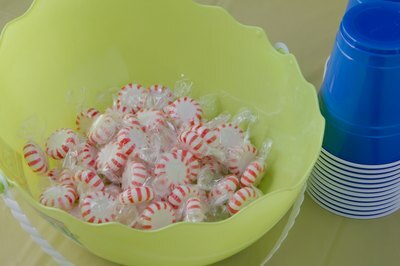 Find a creative way to give away these door prizes, but make sure that your method is fair to all of the guests. Use games, raffle tickets and other methods to give the prizes away at the end of the party. Write trivia questions for the party. Use a variety of questions: some easy, some hard. Tailor the questions for the occasion, such as using family history at a reunion or personal biographies at birthday and anniversary parties. The person who answers the most questions correctly wins the door prize. For an office party, trivia questions about the company or humorous tidbits about company management gathered in advance provides interest that all can relate to. For a child's party, trivia may involve simple questions involving favorite cartoons or names of neighborhood pets. 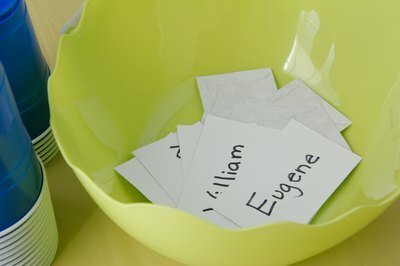 Have the guests write their names on a piece of paper or use their table place cards to select the winner in a random drawing. For larger parties, issue raffle tickets at the beginning of the party and draw the winning ticket at the end of the night. For a creative twist on a random drawing, write out a few generalizations on paper, such as "blue eyes" or "green shirt." Pick one or more of these papers at random out of a container, then award the prize to the first person to raise their hand meeting the criteria. 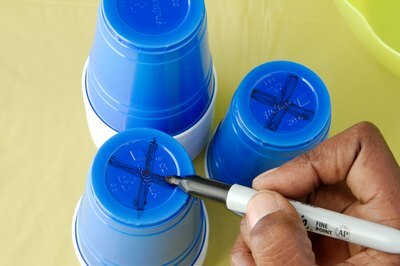 Mark items such as placemats or cups with a symbol on the bottom to determine the door prize winners. If you are using placemats, put a sticker on the backside before placing it on the table. Mark the bottom of a chair with an "X" made out of masking tape. The person who has the marked item wins the door prize. Not only will a party game provide your guests with entertainment, it can also help determine the door prize winners. Musical chairs, card games and guessing games are easy to prepare and fun to play. For example, count the pieces in a large bag of candy or beads. Fill a large jar with pieces and have people try to guess how many pieces are in the jar. The person who guesses the closest wins the door prize. Award a prize to a person in each age group, for a large party, who can hula hoop or hop on one leg the longest. A scavenger hunt provides plenty of fun for all, but this requires more preparation time to be successful.